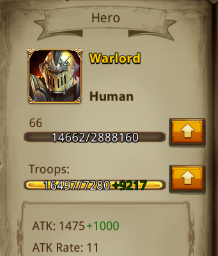 Increase a Hero’s level to boost your Hero’s ATK and the number of troops they command. Each Hero has a unique skill. Some skills strengthen the troops they command, while others allow Heroes to unleash devastating attacks. Different Hero teams will help you in different situations! Inlay Crests into a Hero to boost their attributes! Different Crests boost different attributes, so choose wisely. Hero Talents strengthen the troops they command. Each Hero has a different set of Talents. Upgrade their Talents to make them a force to be reckoned with! Many assorted Crests await you in Kingdoms Mobile! Different Crests boost different attributes. Once you gain a Crest, use it and you will be able to select a Hero to inlay it. You can also view the current Crests inlaid on a Hero, if they have any. A popup window will indicate attribute changes when inlaying or replacing Crests. Once you replace a Crest with a new one, the old Crest (item) will be lost. The Crest level will remain the same, therefore when you replace an old Crest with a new one, the new Crest will have the same level as the old one. Enhancement items are used to level up Crests. 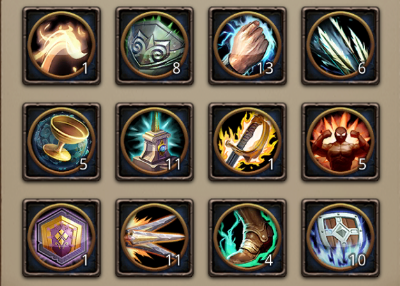 There are three different types of Enhancement items in Kingdoms Mobile. Enhancer: This enhances a random Crest on a selected Hero. If the enhancement is successful, the Crest level will be increased by 1. If the enhancement on any Lv 10+ Crest fails, the Crest level will be reduced by 1. 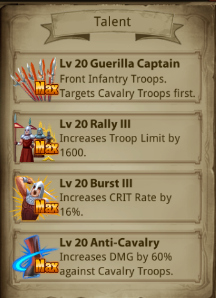 Max Enhance (100% success rate) : This enhances a random Crest on the selected Hero. Enhance All: This enhances all Crests on a selected Hero. If the enhancement is successful, the Crest level will be increased by 1. If the enhancement on any Lv 10+ Crest fails, the Crest level will be reduced by 1. 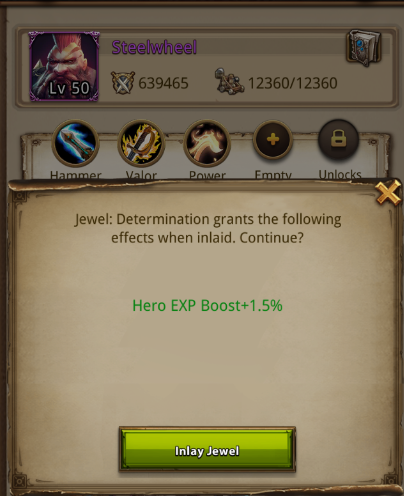 To enhance Crests, use an Enhancement item, and select a Hero. You can view the Crests and their level of each Hero. Tap on a Hero to use the item. Note: Crests obtained through the Altar must be used immediately. 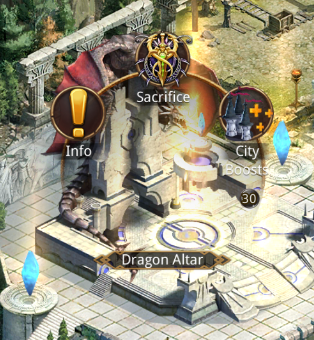 Tap on the Dragon Atlar, then tap the Sacrifice button to access the Sacrifice UI. 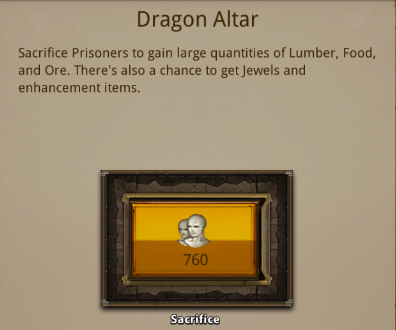 Sacrifice Prisoners at the Altar to win fantastic rewards! Prisoners are captured during Battles. Sacrifice rewards include Food, Lumber, Ore, Reinforcements, Boosters and if you’re lucky, Crests or Enhancers! There’s also a chance that a Sacrifice will grant you 5x the usual resources! 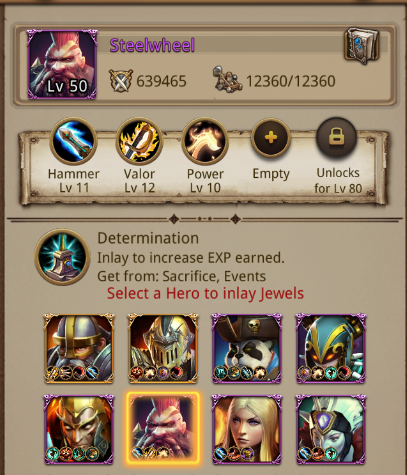 Tap the Guild icon in the bottom right corner to enter the Guild interface. 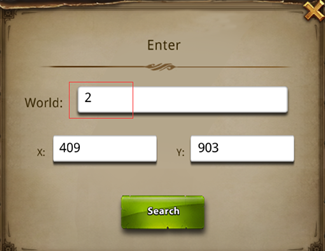 You can search for Guilds and join them. Some Guilds require the Guild Leader’s approval. Once your application is approved, you will officially be part of a Guild! You can also create a Guild by tapping on “Create Guild”. Enter a Guild name and notice, and pay a fee to create your own Guild! 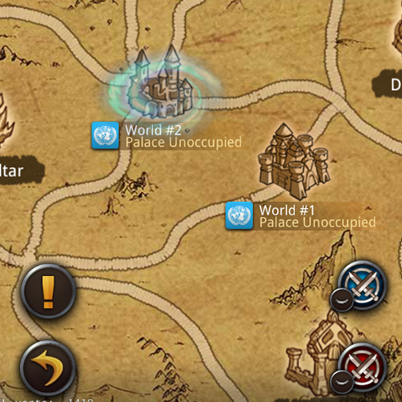 Tap on the [Guild War] button in the Guild UI to access Guild Wars. Coalition Attacks related to your Guild can be found here. This includes Skirmishes, Province Battles, Provinces and Guildmates being attacked. You can tap the [+] button to join a Coalition Attack. 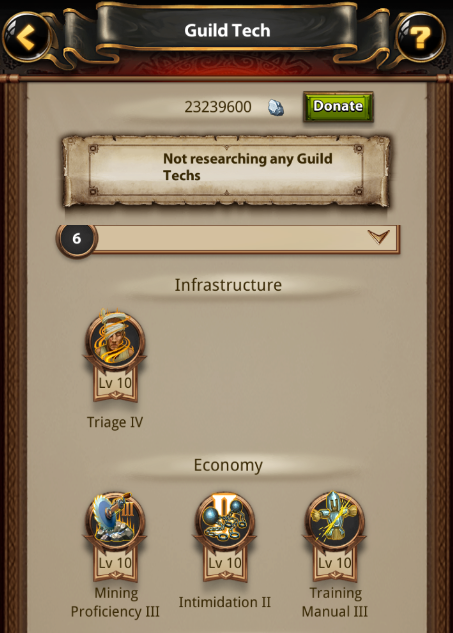 Tap on the [Research] button in the Guild UI to access Guild Tech. There are three categories under Guild Tech: Infrastructure, Economy, and Military. Guild members can donate resources to accelerate the Guild’s Tech upgrades. Credits are required to carry out Guild Tech research. You can get Credits from occupied provinces. 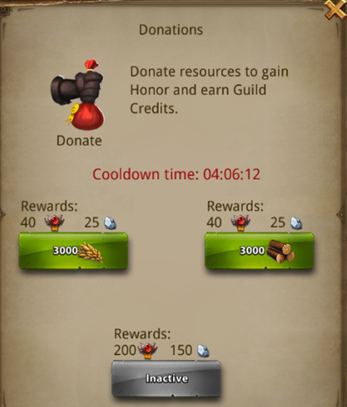 The Guild can also get Credits from donations. Tap on the [Donate] button on the top right corner. 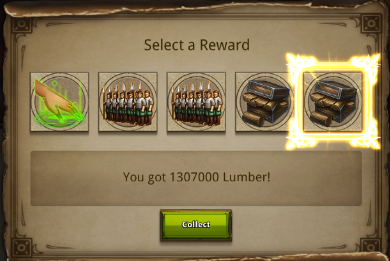 You can then choose to donate Food or Lumber to gain Honor and earn Guild Credits. Honor can be used to buy items in the Guild Mall. Tap [Guild Mall] to enter the Guild Mall. Guild Mall items can be purchased with Honor. Donate resources or join Province Battles to win Honor. Guild members can request for assistance when upgrading Buildings or researching Techs. 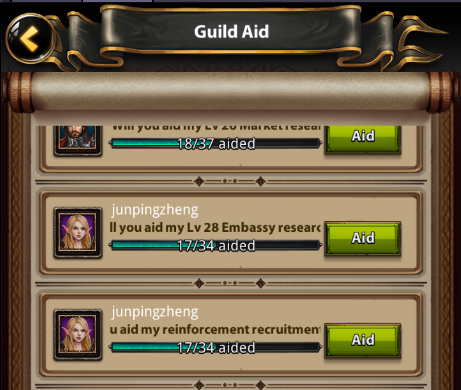 Fellow Guild members can tap [Guild Aid] at the Guild interface to help reduce the remaining time. 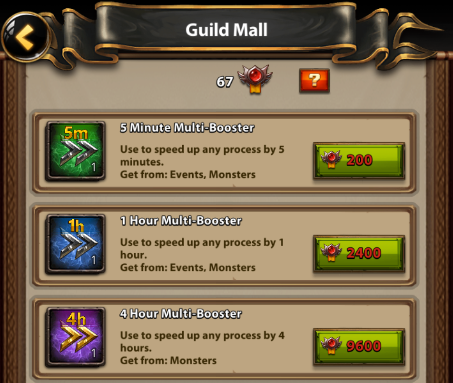 Guild Aids are free-of-charge. 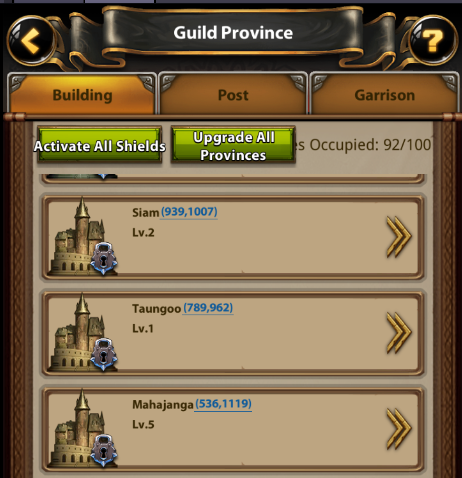 After creating a Guild, the Guild Leader or Deputy may form a Coalition Army for Province Battle. All Guild members may join the Coalition. If a Guild occupies a Province successfully, the Province will appear under [Guild Province]. 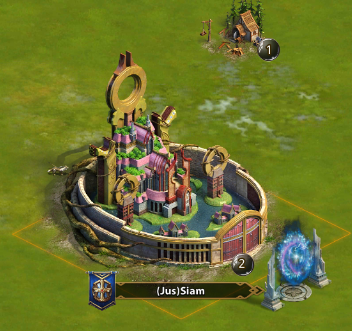 Move your City within a Guild Province’s territory to enjoy Province bonuses. 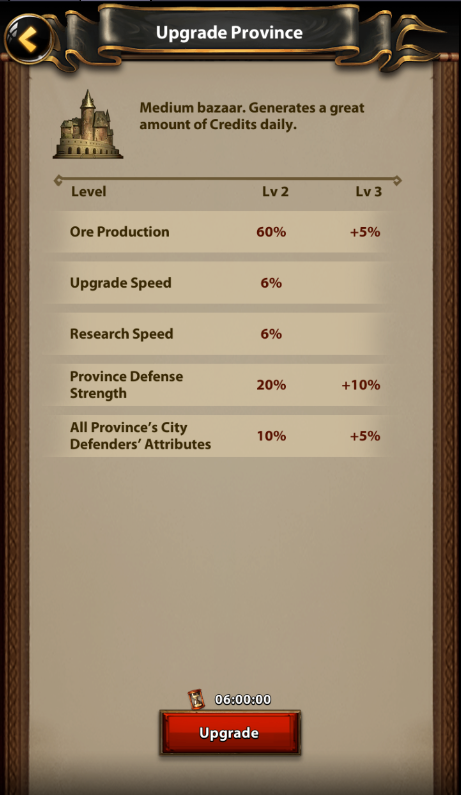 Upgrade your Guild Province to further increase the Province bonuses. There are four Province types - Village, Fortress, Capital and Palace (in ascending order). More Province Officials may be appointed in larger Provinces. Only the Guild Leader and Deputy may assign Province Officials. Guild Members appointed as Province Officials will receive additional perks. It is important to guard your Provinces from attackers. If your Province is attacked, try strengthening the defenses by garrisoning Heroes. Province Shield can be activated by Province Officials, Guild Leader or Deputies. Province Shield protects a Province from attacks for 8 hours. Select a World on the Overworld map and tap any location to bring up a menu, then select “Migrate” to migrate your City. You’ll require a Passport each time you migrate. 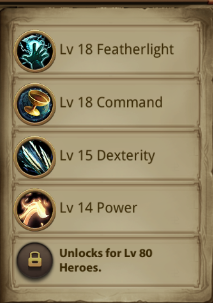 You can get a free Passport by upgrading your Dragon Altar to Lv. 4. Passports can also be bought at the Mall. 1) The migrating player’s Might cannot exceed the 50th-ranked player in the new World. 2) Migration function is unavailable during World Invasion. 3) A Guild Leader must transfer leadership to another Guild member before migrating. 4) Migration is only available when no units are deployed. 5) Player may only carry 3,000,000 Food, 3,000,000 Lumber and 250,000 Ore to another World. Resources exceeding this limit will be removed after migration. 4) Tap any location on the map to bring up a menu, then tap Migrate. 2) Enter the World you wish to migrate to, then tap Search. 3) Tap any location on the map to bring up a menu, then tap Migrate. 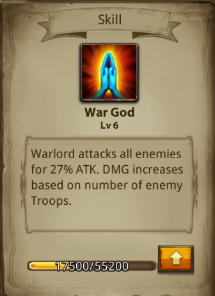 How can i get warlord..
To obtain gold or orange level heroes, you must obtain shards from in game events or purchase the packs offered by IGG. To obtain purple, blue, or green level heroes, you can go to the tavern or by attacking certain level monsters. If you need further assistance, please feel free to contact me. I wanna warlord, could you mind give it to me for free, beg!!!! if you can, I am so happy. 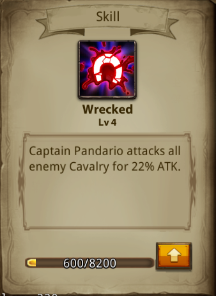 Warlord is obtained through events by obtaining shards. Heroes are not given out free as players have to earn them. Great guide. Looking forward to more from you.
" A good commander never gives up a defensive advantage." Well explained this should help lots of new people in the game nice job! i need more info about hero.. like . what hero can i use to kill demon hunter? How can i buy gold if i have no credit card? You can use a Google play card they are found mostly in a Walmart, Dollar general, and sometimes a Tom thumb store other places I do not know for sure.